Soil-bentonite cut-off walls have been used widely to control pollution in landfills but their antifouling property (their ability to prevent contaminants in landfills from polluting the surrounding environment) decreases significantly over time due to a variety of factors (e.g. contaminant concentrations). In recent years, attapulgite has been considered as a backfill material for cut-off walls, but relevant studies are lacking. In this study, the compressibility and hydraulic conductivity of sand-attapulgite backfills were investigated using consolidation and hydraulic conductivity tests. In these tests, attapulgite comprised 10%, 20%, 30%, 40%, 60%, 80%, or 100% (dry weight) of the backfills. The results showed that (1) the compression (Cc) and swell (Cs) indexes of the backfills increased linearly with increasing attapulgite content (Ap); (2) both the consolidation coefficient (Cv) calculated by the Casagrande and Taylor methods and the hydraulic conductivity (ktheory) calculated according to Terzaghi consolidation theory decreased with increasing attapulgite content. In the case of an effective consolidation stress σ′<100 kPa, ktheory <10−9 m/s when Ap≥30%, which was supported by the hydraulic conductivity tests. Two methods were developed based on laboratory data, for predicting the hydraulic conductivity of sand-attapulgite backfills. We conclude that the use of sand-attapulgite backfills applied to cut-off walls as substitutes for soil-bentonite backfills is technically feasible. 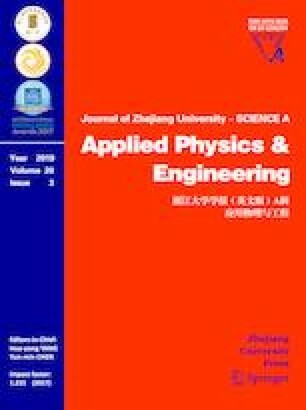 The authors thank Dr. Ya-feng HU (Nanjing Forestry University, China) for analyzing the particle size distribution of attapulgite.